At Marvel Consulting, we can sort out and prepare those necessary annual tax return so you can get the most tax back legitimately possible. However our more savvy clients want us consulting to them about their complex taxation events that are expected to impact them in the near future.  By allowing us to take care of your taxation and compliance needs we believe you will be spending your time, being the expert in your field and maximising your results. We can go further than the basics and strategically plan for your future taxes. Whether it be for the selling of property, a business transaction or ordinary income tax, we will ensure you are managing your money in the most tax effective manner possible to suit your needs. We will educate you to understand your short & long term tax liabilities and get assistance through thorough tax planning to avoid hidden tax surprises, mitigate and minimise future tax. We do this by structuring your affairs to be tax effective and bringing down the overall tax rates. Complex taxation matters and transactions arise more often than you may think. We engage with you to better understand your circumstances before applying our expertise and experience in taxation. We have access to a comprehensive panel tax specialists that keep us up to date with current policy changes and are ready to assist. We get excited by tax, especially when we are saving you money. Leave the head aches to us and . We all pay tax, including Australia’s wealthiest citizens. It is how they plan for their tax obligations and utilise tax effective means of generating their wealth which sets them apart from the ordinary person. We all can use tax planning and tax minimisation opportunities to further accelerate our wealth generation activities including earning income. The end result for most of us is making money which is a sum of the net cash and assets in our possession after tax. Kerry Packer famously and openly admitted that he minimised his taxes and expressed his view that the government didn’t deserve a donation. Timing is of the essence, waiting until tax returns are prepared or even when the tax office contacts you may be too late to act. This is not a luxury businesses and investors can afford. We will help you implementation effective tax strategies for the minimisation of tax. When you think about it, if you’re doing taxes on your own, then you’re losing time, and losing money. We educate you to consider taxes as more than a bill from the government, they are a key component in your business’ wealth creation strategy. When you join us at Inspire Business Solutions you become part of professional tax firm who are on your side. You have the power to save money, improve cash flow, and reduce investment risk. Work with us and our experienced tax strategists who will show you how much you can start putting back in your pocket each and every year.